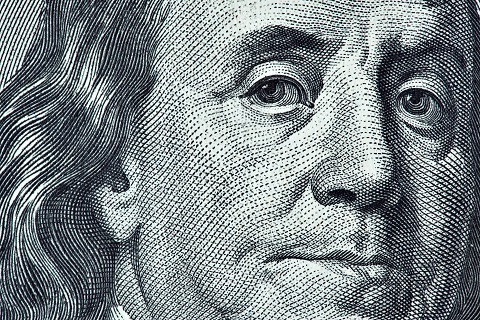 How many Americans could, off the top of their heads, tell you exactly why history remembers Benjamin Franklin? Not many, I suspect, though we all know that he did a great deal worth remembering, even by the standards of a Founding Father. (Something got him on the $100 bill, after all.) Of course, only his biographers could remember the every accomplishment of this "First American," from helping unite the colonies, to publishing newspapers, to serving as Ambassador to France, to putting US national security at risk, to co-founding the University of Pennsylvania, to inventing bifocals and everything in between. Most Americans can, I suspect, summon to mind the image of Franklin flying a kite with a key on it as well. It also turns out that Franklin could indulge in a vice as heartily as he could a virtue; the man who wrote Poor Richard's Almanack knew how to have a good time. In 18th-century America, this seems often as not to have meant to know how to drink — and, in Franklin's case, also to know how to identify the drunk. His reputation as a bon vivant and a man of letters converged in a January 13, 1737 edition of the Pennsylvania Gazette, wherein he published this "Drinkers Dictionary" consisting of 200 synonyms for wasted, blotto, half in the bag, three sheets to the wind, and others that would emerge over the following centuries. See them all below. Franklin's glossary also appears in Lists of Note, the brand new, highly recommended book from Letters of Note's Shaun Usher. Wherever you consult it, bear in mind Franklin's introductory note that all these terms come "gather'd wholly from the modern Tavern-Conversation of Tiplers. [ ... ] I was tempted to add a new one my self under the Letter B, to wit, Brutify'd: But upon Consideration, I fear'd being guilty of Injustice to the Brute Creation, if I represented Drunkenness as a beastly Vice, since, 'tis well-known, that the Brutes are in general a very sober sort of People." Which brings to mind a few better-known words attributed to the man: "Beer is proof that god loves us and wants us to be happy." He actually said it about wine, but either way, let's give Franklin credit: he was Wise — in moderation, of course.